Today: The perfect excuse to eat burgers, fries, and ice cream floats for dinner. Some dinner parties are born of a desire for elegance, for entertainment, for opulence. Some are themed around something ridiculous, like eating whole fish with your hands while drinking out of a pinapple. And some happen because you want to eat fries for dinner. Here's how my mind works: I wanted fries for dinner. I wanted to dip those fries into things that taste good. Ketchup? Yes. Sriracha mayonnaise? Yes. Ice cream floats? Yes. Oh, I used to do that at the Sherwood Diner after tennis matches in high school, in the early spring when the air felt electric and I wore thick, white sweatbands in my hair. The Greek salad was good there, too. A burger would go well with that -- a burger with some melty cheese and a lot of ketchup and mustard. And thus, the diner dinner party was born. Who's coming over? The night before: Make your salad dressing for your Greek Salad, and boil up the ginger syrup for your floats. Mix together the spices for your slap fries, and make the srirachannaise. 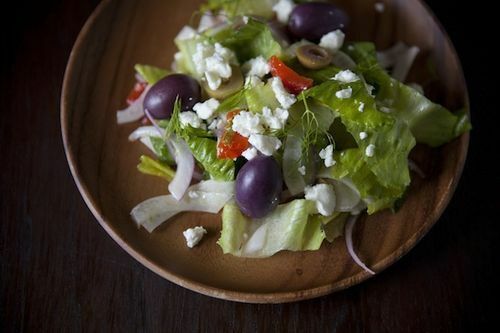 When you get home from work: Prep your vegetables for your Greek Salad, but wait to toss it until it's time for dinner. Shape your hamburger patties, and put them in the fridge. Prep your potatoes, and keep them in a bowl of water. When your friends start arriving: Get your potatoes in the oven. Take your patties out of the fridge; you want the chill off of them before you cook them. 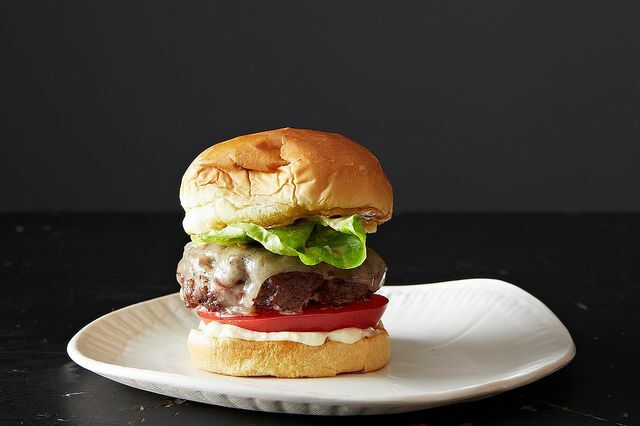 When you're almost ready for dinner: Start searing your burgers! Don't worry about that smoke you're creating; think of it as authentic. Have a friend on bun-toasting duty. When the burgers are ready: Bring them to the table! With the salad! And the fries! Serve with every condiment you have available. Time for dessert: Put out the ginger syrup, seltzer, ice cream, glasses, and straws, and have your guests make their own ice cream floats. 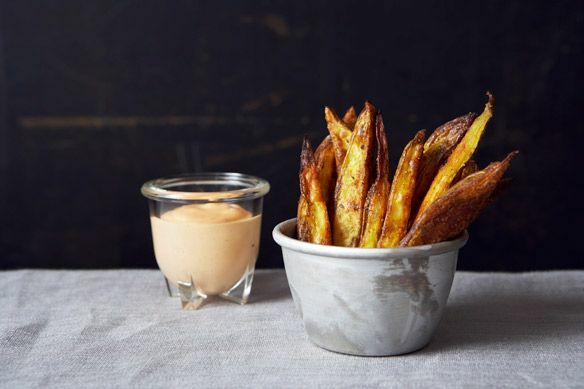 If you have any fries left, dunk them in. Success! What are your diner memories? Let us know in the comments! Meatloaf, mashed potatoes (real ones) and lots of good gravy!